Discover effective strategies to achieving your greatest goals and successes in the fastest ways possible with the power of discipline. Have you ever wondered how highly successful people are able to achieve the success that they have today? That’s because successful people develop great self-discipline and use it to help achieve their goals. They believe in the core value that what they want to attain is important to them. It is the burning fuel that ultimately pushes them forward and keep them committed to their goals. Instead of giving up, they are motivated by their failures and willing to learn from them. Which in turn allow success to find its way towards them. But what I’m about to show you is NOT about them… I want to talk about YOU and how you’re able to achieve the same level of success! Here’s the thing; motivation is NOT the secret ingredient to success. Motivation is highly driven by emotion and can be inconsistent from time to time. It can change every day and potentially make room for impulsive decisions. For many, motivation is temporary. Motivation drives you, but only Discipline can keep you going, ensuring that you continue to work hard towards your goal, even if there are countless obstacles in your way. Now imagine if you are an entrepreneur who wants build your brand. There are times where you need to make important decisions. Difficult circumstances requires you to be rational and not be driven by impulse. Having great self-discipline prevents you from being reckless and remove all impulse from your thoughts and actions. Which in turn allows you to make decisions quickly and efficiently. 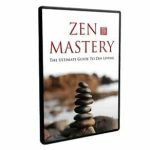 I’m giving you Full Access to my entire collection of how to master the art of self-discipline and reap the full benefits of it! Just know that I’ve spent countless hours trying to crack the code for unstoppable productivity and successes in order to ensure that these tried and proven methods can give you the best experience out of your life-changing journey. And here’s your golden opportunity to learn my secrets so that you can achieve your goals and enjoy great success. Today, I’m granting you the permission to follow my method that had brought me immense wealth, health and success to implement into your future. 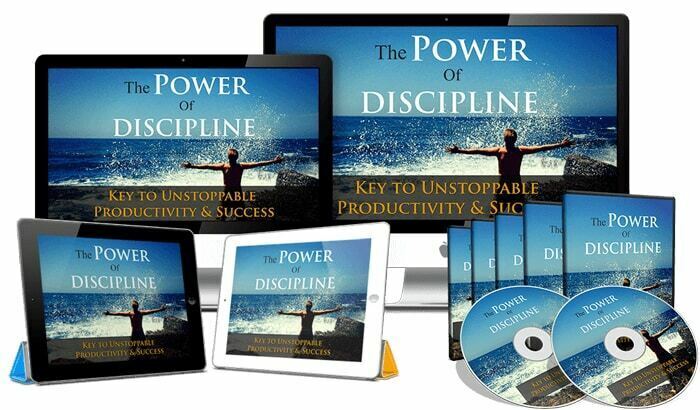 Now is your rare opportunity to discover the POWER of discipline in driving you towards your ultimate goal. 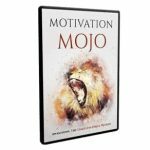 A Transformational Blueprint On Ways To Build High Self-Discipline And Unleash The Greatness Within You! The Power of Discipline is your go-to Masterguide to achieving your goals and massive success. You will gain insights into how highly successful people achieve what they set out to do with great self-discipline. Master the effective approach to achieving great success and get ready to be mind-blown by your own transformation! 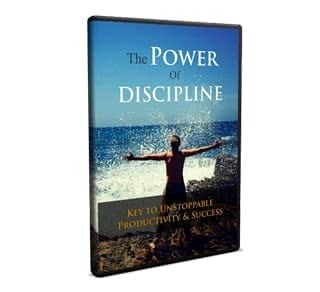 You Get 8 Premium Quality Videos of The Power of Discipline! You will start seeing positive results and notice incredible changes when you apply what you’re about to learn in The Power of Discipline. Act Now To Snap Up These Fast Action Bonuses! 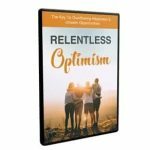 This checklist contains step-by-step guidelines for you to reap the most benefits from The Power of Discipline. By simply breaking one huge topic into easy digestible chunks, you get absolute clarity inclusive of easy-to-follow action steps! You will gain tremendous value from this and fast-track your success! This complete mind map outlines everything you are going to discover throughout the entire course. With just a glance, you will have a clear picture of what to expect and absorb so much more than reading through The Power of Discipline by pages! Extras: Audios, eBook, Emails, Graphics, Mindmap, Salesletter, Transcripts, Special Report.